Asha Florida ( prev. Gators for Asha ) is an active Student Chapter of the non-profit organization Asha for Education at the University of Florida. It is a completely volunteer driven organization, comprising of dedicated individuals from this University and Gainesville area, striving to make a difference in the society. We believe that education is one of the primary factors in shaping a child’s future and by extension, future of the entire community and country. Asha Florida works to promote the education of underprivileged children by providing financial assistance and support to the NGOs focused on education projects. Volunteers of this chapter work closely with the project partners in India, while organizing fundraisers and community awareness events locally. 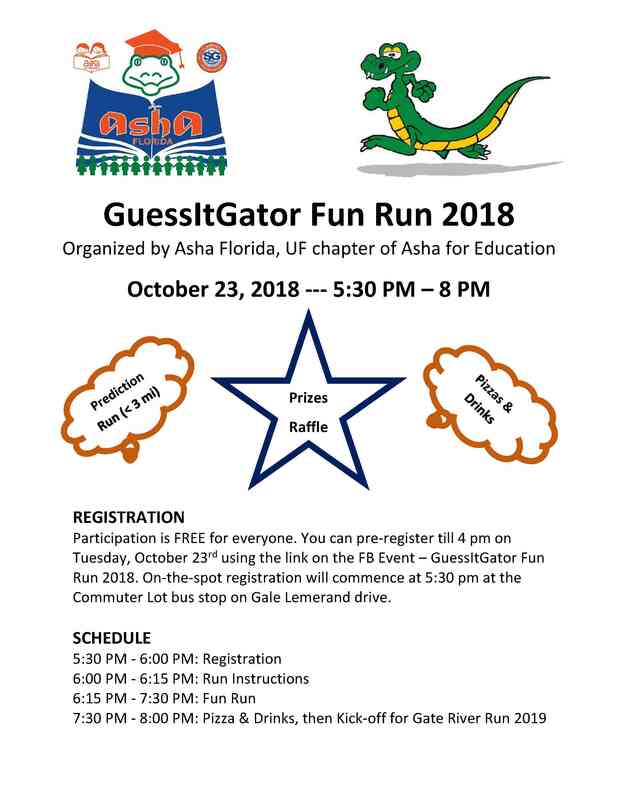 Gate River Run, a popular 15K race in Jacksonville, Florida is Asha Florida’s primary fundraiser, to directly help support several education projects. Member’s list : ashauf@googlegroups.com – Meeting agenda/minutes and events are announced here! Join our Facebook group for updates about meetings, events and running group. If you are interested, contact us via email, Facebook, or simply drop by at one of our chapter meetings which are open to one and all. Join Team Asha on the weekly runs to stay fit, train and have fun. Subscribe for current running schedules. 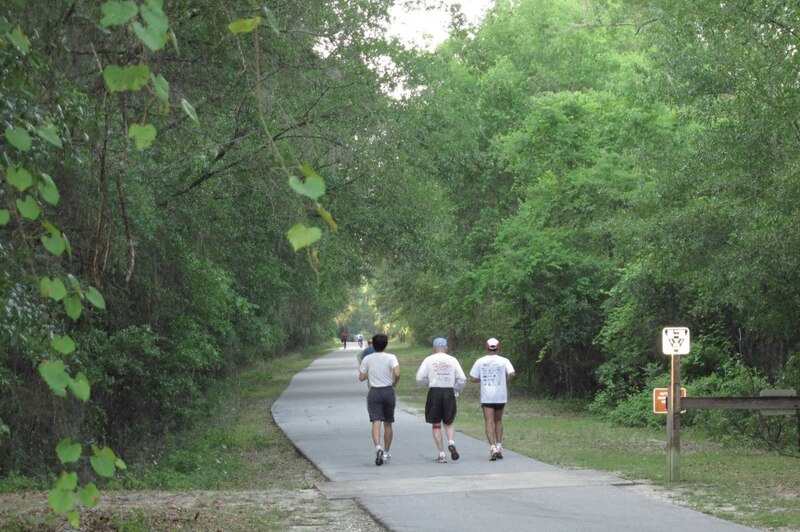 Gate River Run, the largest 15K in the US, our annual fundraising event is on Saturday, March 9 in Jacksonville. Our training schedule will being soon under the guidance of Coach Rick Swenson. If you are interested to participate and support this chapter, subscribe to our running group and become a part of Team Asha. Check out Team Asha if you’re interested in fundraising along with running!